Those who are blessed with curly hair know all too well that, when it comes to care and curly hairstyles, moisture and the kindest coifing are an absolute must. However, there’s no one-size-fits-all routine, which means it’s vital that you figure out what type of curls you have, then use them as a blueprint to find care and styling products that make the most of your curves. Large, loose loops with a definite ‘S’ shape are the hallmark of 3A curls. They tend to be soft and springy but are prone to frizz and can sometimes lack definition. Sometimes coarser in texture than 3A curls, a 3B curl pattern also features tighter curves and an abundance of beautiful volume. Just watch out for humidity. Though 3C hair tends to be a finer texture, it packs in plenty of volume and takes on more of a bouncy ringlet or tight corkscrew shape compared 3A and 3B curls. More Than One Curl Type? It happens. If your hair follows multiple curl patterns, simply use more conditioning product in the tighter-wound sections and less in the looser parts to avoid dragging them down. Hydration is a must if you want your curls to look nourished and defined, so avoid shampoos that could strip locks of any natural, essential oils. Opt for a gentle cleanser, like Nutricurls Micellar Shampoo for Curls, which delicately rids strands of any impurities, while providing shape, moisture and an anti-frizz effect. You can also alternate with Nutricurls Cleansing Conditioner for Waves & Curls; a low-foaming hair wash with no added sulfates, ideal for anyone who follows a co-washing routine. The elasticity of your curls determines how mich moisture your hair needs, so grab the tip of a coil, gently pull on it, then see how quickly it springs back into shape. If it takes a while, that means you need to up your moisture levels, so follow your gentle shampoo with a mask, like Nutricurls Deep Treatment for Waves & Curls. Hair with more elasticity (i.e. hair that springs back quickly) can alternate with a lighter treatment, such as Nutricurls Detangling Conditioner for Waves & Curls. 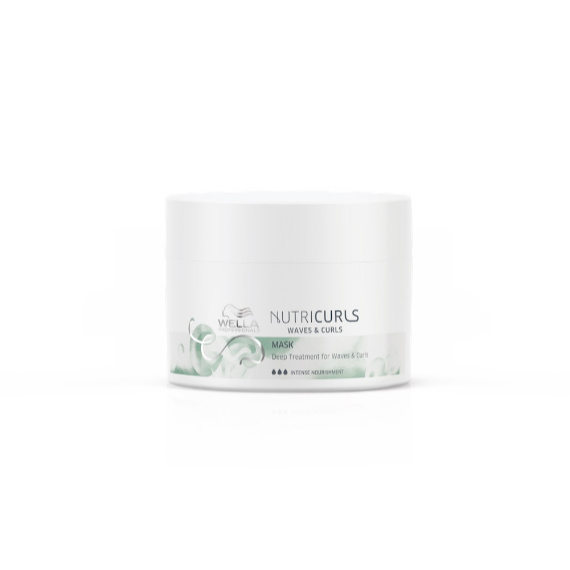 After washing, treat damp hair to an intensely nourishing, curl-defining balm, like Nutricurls Curlixir Balm. This leave-in conditioner gives your curls definition and bountiful bouncy movement. Concentrate the balm through the mid-lengths to ends, adding extra to sections where the curls are tighter, then top up on dry hair whenever you need a hydration hit. There are two key products every curl-friend needs in their styling kit: a body-boosting, ringlet-defining hair lotion and a hair dryer with a diffuser attachment, like ghd air® professional hair dryer. The latest EIMI additions have you covered, with EIMI Fresh Up 72h Anti-Frizz Spray holding back the effects of humidity and refreshing the shape of 3A hair types. For 3B types that are craving hydration, try the richer EIMI Curl Shaper 72h Curl Defining Gel-Cream, and have a go at layering it with EIMI Boost Bounce 72h Curl Enhancing Mousse to enhance the texture of 3C curls. Step 1: After applying a styling cream, mousse, gel or spritz, layer your t-shirt or towel out in front of you on a table. If your t-shirt has long sleeves, have these at the end closest to you. Step 2: Tilt your head so that your hair is resting on the towel or t-shirt. Then, grab the fabric either side of your head and wrap it around the back of your neck. Step 3: Flip the leftover fabric that’s in front of your head up over to the back of your neck. Wrap any extra fabric (or long t-shirt sleeves) around your head and tie in a knot. Step 4: Leave for around 20 minutes to soak up moisture, then release your curls and let them air-dry or use a diffuser. If you’re worried about curls getting crushed while you sleep, we hear you. However, there are ways to keep them abundantly bouncy overnight, and it’s all about creating a pineapple. The technique was originally coined by the NaturallyCurly community, and it’s designed to protect those precious coils from the perils of your pillow. Start by smoothing EIMI Curl Shaper through your curls, then gather hair into a high ponytail. Slip a scrunchie (preferably satin) around hair to secure it, but don’t wrap it, as you don’t want to wake up to a harsh dent. Let your curls fall either side of the scrunchie, then go to sleep without worrying about your pineapple being ‘perfect’. It may fall out, but your curls will still look bouncier and more defined when you shake them out the next morning. Whether you’re styling your hair in a down ‘do or gently teasing it up, how you comb curls is crucial to achieving a glossy, defined look and avoiding a halo of frizz. First, look at your tools; you need a wide-toothed comb – not a brush – to detangle, as this will glide through each curve, while brush bristles tend to separate curls and cause them to splay out. Then, make sure you always comb hair from the bottom up, eking out knots from the tips before gradually making your way up to the roots. Sometimes, despite your best pineappling efforts, you may wake up to curls that look a little less sprightly. In this case, try whipping out your curling iron to put a spring back in their step. A narrow tong, like the Pro-Curl Conical, is perfect for reviving crushed curls. Simply spritz on EIMI Thermal Image heat protectant spray, then wind small sections around the thinner tip of the wand to create natural-looking shape and movement. Looking for more curly hair tips? 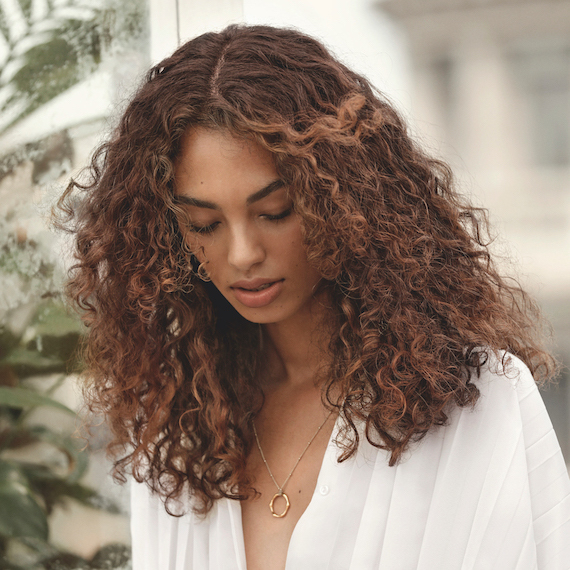 Discover our guide to the best color and cut routine for curls, browse our suggestions for funky curly hairstyles or head to the Wella Hair Pinterest board and @WellaHair Instagram for endless inspiring looks.